Does your postpaid plan give you the best value? Sun Cellular recently announces its newest plan that will you unlimited call and text and free data, the Sun Postpaid Best Value Plan 450. 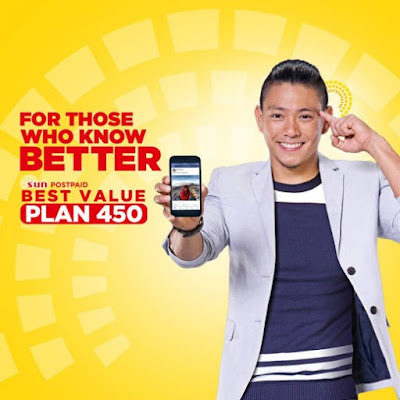 Sun Postpaid Best Value Plan 450 will give you unlimited call and text (Sun to Sun), 250 texts to other networks and 20 hours of data. The new plan comes along with FREE smartphone. If you want to avail Sun's newest plan, you can visit the nearest Sun Celluar store in your area. You can also go directly to their website for other information.